Look no further! Your summer retreat is here at a great price. Beautiful navigable Riverfront property on the St Mary's River. 100+ ft of Riverfront with a sandy beach. 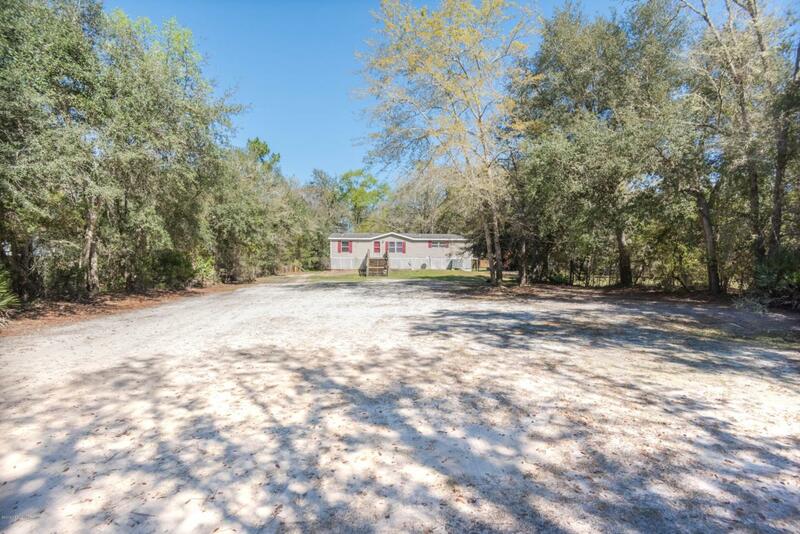 A little over an acre of land with a 3 bedroom 2 bath 2000 Bellcrest Mobile Home. Newly built Gazebo/Deck over the River great for fishing, cook outs and endless fun. New 2018 HVAC & Duct work and insulation. Located less than 2 miles from a public boat ramp. Home is being sold as is.